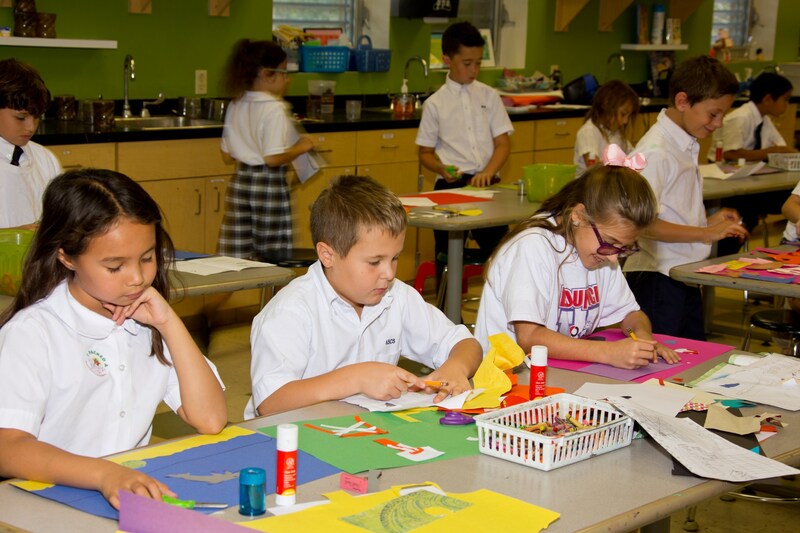 All students in grades PK-5 take Art and Music class once per week with and additional Art/Music rotation class weekly for grades K-5. 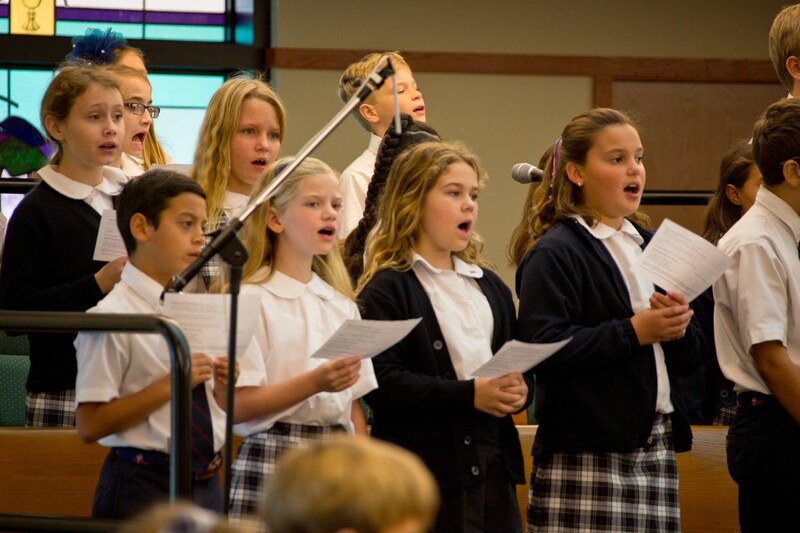 Students in 6-8 grade are exposed to Fine Arts through their elective classes. 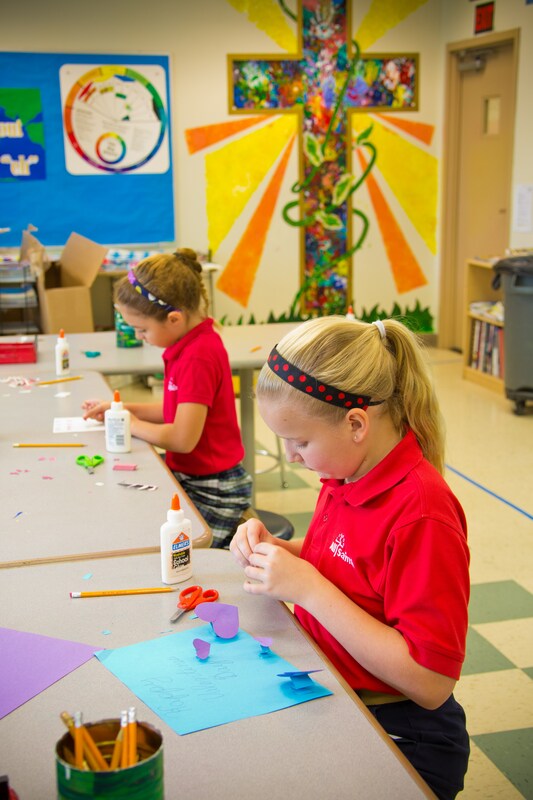 Walking into the Art Room is like walking into a world of creativity. In here, we demonstrate how anything and everything can be used to create. 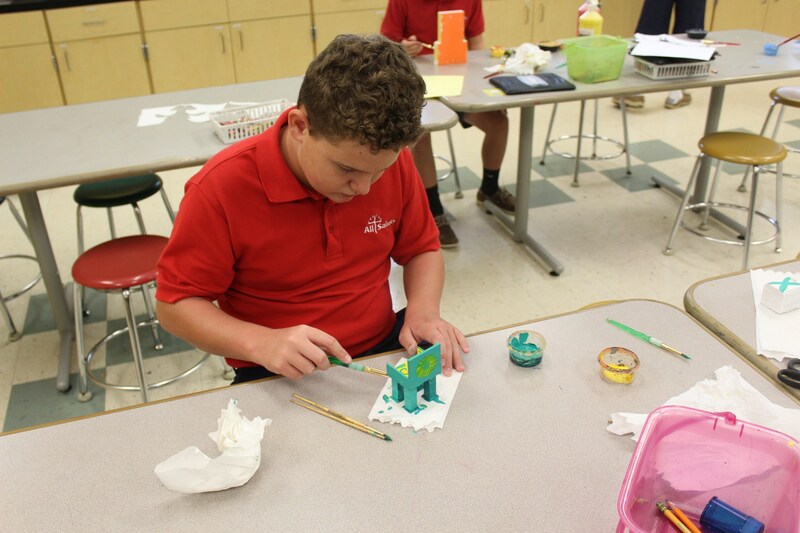 From bottle tops and recycled cardboard to water, paint, pastels, and clay, many things are used as we design our masterpieces. 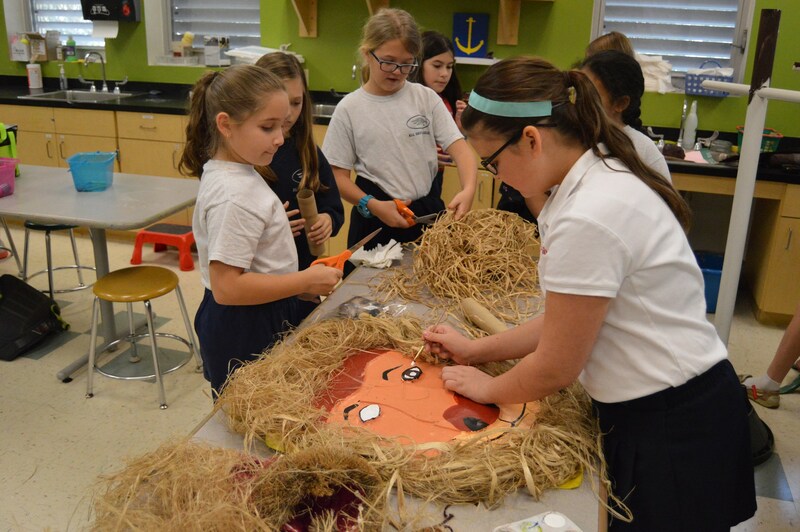 Students learn to draw, to paint, to sculpt, and to design. Most importantly though, students learn how to express themselves through art. Outside the box expression thrives in the Art Room! Music is fun! It can lift your spirits, decrease stress, and improve your health. Studying music helps you become self-disciplined and can help you build skill and confidence. 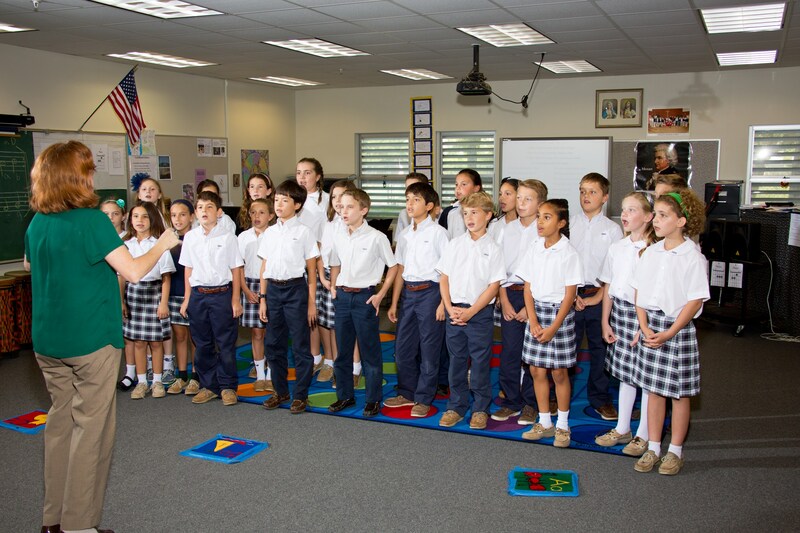 Music uses math skills, such as fractions and counting. Music uses your imagination and allows you to be creative. Music is a great outlet for communication. 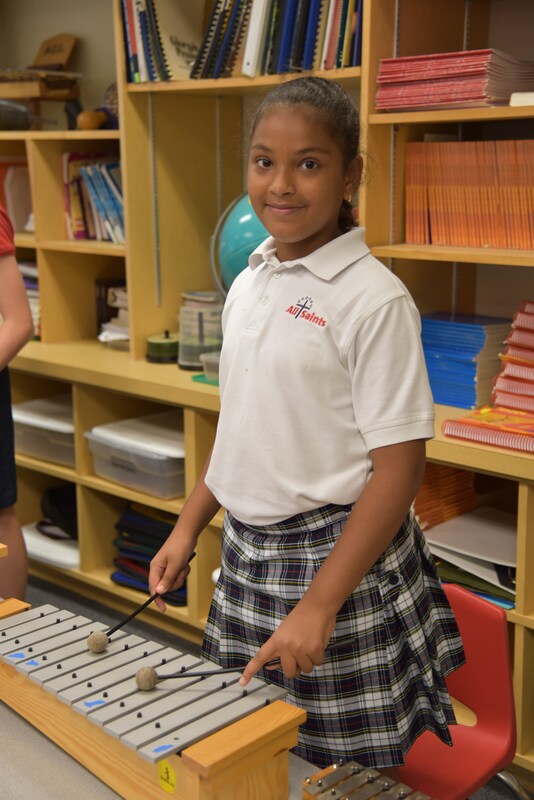 Our music room is filled with instruments, such as drums, handbells, melody chimes, keyboards, guitars, Orff instruments and classroom percussion instruments. 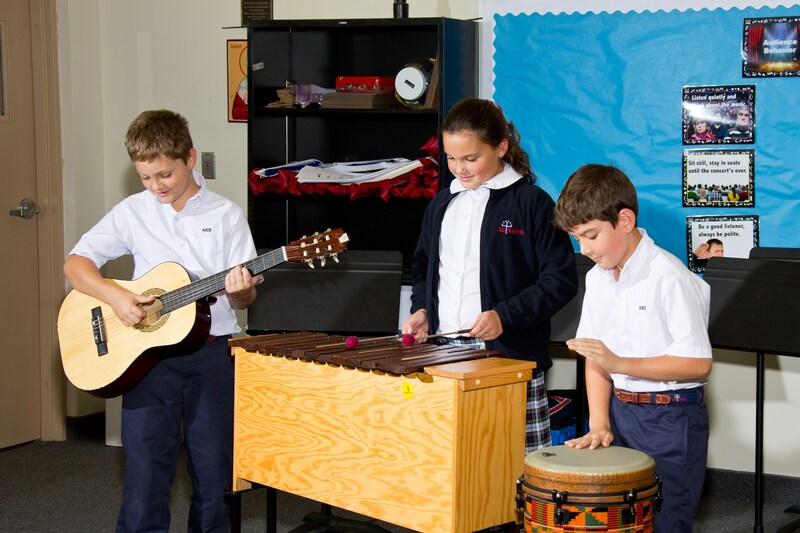 The music begins when each class arrives for an instrument is nothing without someone to play it. We are discovering music every day in the music room!